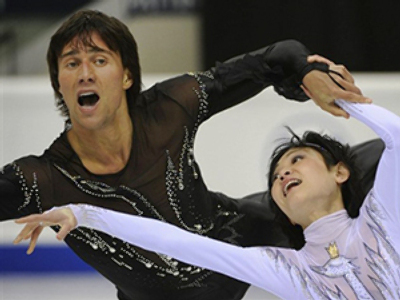 Russian figure skaters Yuko Kavaguti and Aleksander Smirnov have failed to defend the figure skating pairs title, only receiving the silver at the European championships in Bern, Switzerland. ­Alyona Savchenko and Robin Szolkowy of Germany, who led after the short program on Wednesday, have scored 206.20 points after their free skate routine, which was enough for them to grab the gold. Kavaguti and Smirnov appeared on the ice after their rivals, but the Russian’s program, set to piano music by French composer Debussy, allowed them to grab only 203.61 points. "It's been the longest five minutes of my life," Szolkowy said, after watching Kavaguti and Smirnov perform. The German triumph is the repeat of the pair’s success of 2008 and 2009. “We’d like to thank all the fans, who supported us in Russia and all those, who shouted for us at the rink here… Yuko and I did everything we could today. We’re satisfied we accomplished all the elements. We only lacked performance a little bit. But it’s OK as we have something to work on,” Aleksander Smirnov told Sportbox.ru. 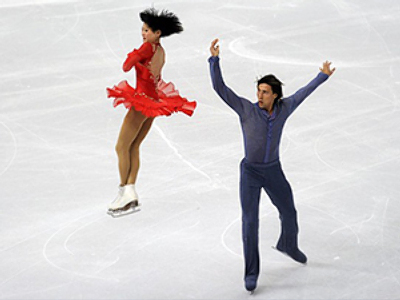 Meanwhile, the bronze went to another Russian pair of Vera Bazarova and Yury Larionov, which marked their first major success.